January 05 , 2009 – One of the most common complaints that I hear besides weight gain and insomnia is bone and joint pain. 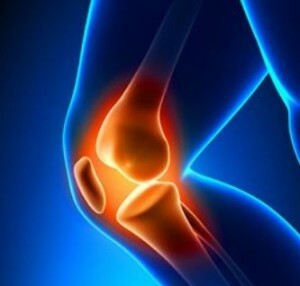 Seventy million Americans suffer from arthritis which is one in every three adults. There are twice as many people suffering from arthritis as there were 20 years ago. 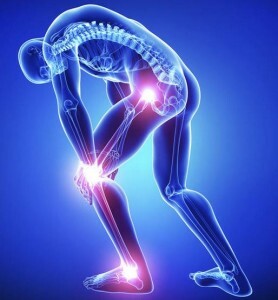 Joint pain is a sign of inflammation and hormonal imbalance. Chronic inflammation can be caused by a diet that’s too high in sugar and refined carbohydrates and too low in omega 3 fatty acids (fish oil). A high-carb diet increases insulin levels which disrupts cellular metabolism and spreads inflammation. Inflammatory disease is long lasting and your body is never able to completely heal. 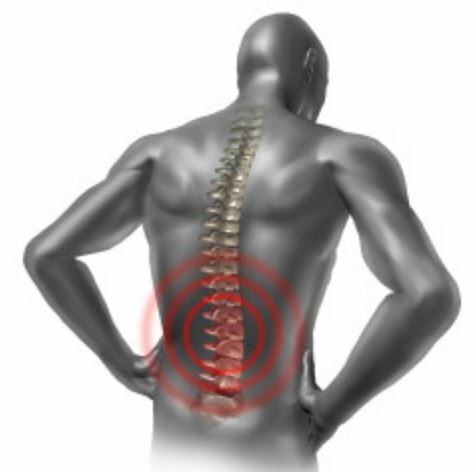 Inflammation in the musculoskeletal system results in fibromyalgia and arthritis. From a non-surgical standpoint, pain killers, anti-inflammatory agents (NSAIDS) and local injection of steroids into joints form the first line of relief in osteoarthritis (OA). Many new drugs are available that are known to have a protective and preventive role in OA. These drugs protect the cartilage. Glucosamine and injections such as Arteparan and Rumalon are the drugs in this category. The latter two can only be obtained in Europe as they are not FDA approved in the U.S. Strong evidence exists that Vitamin D3 can reduce inflammation. Some other examples of natural anti-inflammatory agents include: bioflavonoid (anti-oxidants), MSM, and EPA/DHA (Fish Oil). Scientific research studies clearly show the many positive benefits of massage and physical therapy in the management of arthritis. Massage therapists will use a variety of techniques to promote healing and relaxation, as well as to promote greater flexibility and range of motion. Massage helps to improved blood circulation, decrease pain and inflammation, helps to relax the muscles, and makes you feel better. Physical Therapy (PT) is commonly used for musculoskeletal injuries, joint pain, low back pain, as well as many other disorders. The goal of PT is to improve mobility, restore function, reduce pain, and prevent further injury by using a variety of methods, including exercises, stretches, traction, electrical stimulation, and massage. Special tools are used, such as hot or cold packs, crutches, braces, treadmills, prosthetics, compression vests, computer-assisted feedback, lasers, and ultrasound. Chiropractors, also known as doctors of chiropractic, diagnose and treat patients whose health problems are associated with the body’s muscular, nervous, and skeletal systems, especially the spine. Chiropractors believe that spinal dysfunction alters many important body functions by affecting the nervous system and can cause pain. In cases in which difficulties can be traced to the involvement of musculoskeletal structures, chiropractors manually adjust the spinal column. Some chiropractors use water, light, massage, ultrasound, electric, acupuncture, and heat therapy. As men and women age and their hormone levels fall below therapeutic levels, they are often faced with bone loss. Other factors that can lead to bone loss include: hyperthyroidism (elevated thyroid hormones), over production of parathyroid gland, vitamin deficiencies such as calcium, Vitamin D3, magnesium, vitamin K, Boron, and Manganese. Many women don’t realize that drinking carbonated beverages can cause bone loss. Medications such as Nexium, Protonix, Dilantin, Heparin, Lasix, Lithium, excess thyroid medications, methotrexate, and Coumadin contribute to osteoporosis. Smoking, alcohol consumption, genetic predisposition, fair complexion, “small boned” stature, fluoride in drinking water, high fat diet, and lack of a menstrual cycle can all lead to bone loss. When we look ways to prevent and reverse osteoporosis, it is important to note that by the age of 60; almost one-half of the women in the U.S. will have osteoporosis. One in five women will break a hip in her lifetime. One-half of the women who fall and break a hip never walk again. One-half of men who fall and break a hip die within one year. One-third of the cases of osteoporosis in the U.S. are in males. Many of you have seen the commercial with Sally Fields and Boniva, a biphosphanate. Some women request a more natural treatment (bio-identical hormone replacement therapy-BHRT & nutrients) for their osteopenia due to side effects such as esophageal ulcerations and jaw necrosis from these drugs. Forteo (teriparatide) is a man-made form of the naturally occurring hormone parathyroid. This medication forms new bone, increases bone mineral density and bone strength, and as a result, reduces the chance of getting a broken bone. One of the side effects includes joint pain. Forteo should not be used if you have bone cancer. Caffeine increases calcium loss. If you drink three cups of coffee a day you lose 45 mg of calcium. Coffee contains twenty-nine different acids which also draw calcium out of bones. More than 1000 medications contain caffeine including weight loss products, cold preparations, pain relievers, and allergy products. In order to build bone, in addition to weight bearing exercises, the body needs the following nutrients: calcium, magnesium, Vitamin D3, Vitamin K, Boron, Manganese, and Zinc. Numerous studies have shown that calcium supplementation can help decrease bone loss by 30 to 50%. Women in general need 1000mg of calcium per day. 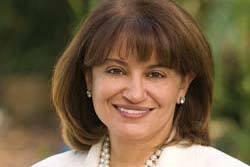 Peri-menopause women need 1400 mg/day and Post-menopause women need 1600 mg/day. Men require 1000 mg/day. Dosages include what you eat plus what you supplement. Calcium should be taken throughout the day for maximum absorption. The body can only absorb 500 mg at a time. It is better taken with meals. Milk is not the best source of calcium since pasteurization destroys up to 32% of the available calcium. Tums is not a good source of calcium intake. It is poorly absorbed. Always use pharmaceutical grade supplements. Lower grade products may be contaminated with lead, mercury, arsenic, aluminum, and cadmium. Calcium carbonate is not the best form of calcium to use. Calcium citrate or hydroxyappetite are the preferred forms. Some calcium rich foods include: kelp, cheese, barley, sesame seeds, almonds, shrimp, soybeans, hazelnuts, parsley, turnip greens, brazil nuts, tofu, dandelion greens, kale, sunflower seeds, watercress, garbanzo beans, ripe olives, English walnuts, pecans, dates, dried prunes, white beans, mustard greens, black beans, pinto beans, broccoli, yogurt, beet greens, Chinese cabbage, eggs, brown rice, bluefish, salmon, mackerel, halibut, chicken, and ground beef. I cannot stress enough how important Magnesium and Vitamin D3 are for calcium absorption into the bone. The optimal dose of Magnesium is 600-800mg/day. Magnesium glycinate is the best form of Magnesium. The recommended dose of D3 is 2000iu- 10,000iu/day depending on your blood level. Vitamin K helps the body maintain a hormone called osteocalcin which is needed for bone mineralization. There are some new nutrients and herbs on the horizon including strontium and acanthopanax senticosus (AS). Strontium is nontoxic, and appears to be one of the most effective substances yet found for the prevention and treatment of osteoporosis and other bone-related conditions. Doses of 680 mg/day appear to be the optimum dose, although lower doses are clinically effective. The herb AS extract supplementation may have beneficial effects on bone remodeling. Nutrients are important, but it takes more than nutrients to prevent osteoporosis. Approximately 93% of women who do not take estrogen will have a fracture by the age of 85. Estrogen maintains bone. Progesterone builds bone and testosterone makes the bone strong. For men, testosterone builds bone. DPD testing also known as NTX, is now available which shows the bone turnover or breakdown. This is a simple urine test and is a very effective way of measuring these levels. Urine levels of DPD usually decrease within 30 days of starting estrogen therapy. In summary, joint pain and bone loss are multi-factorial. Positive results can be achieved by making simple life-style changes such as a healthy diet, exercise, and hormone balance. You will have to limit sugar first and foremost, eat more fruits and vegetables, add high quality mineral replacement and omega 3 fatty acids (Fish Oil). The good news is – you can address Bone and Joint Health naturally! Pamela Egan, MN, NP, CDE, ABAAHP Diplomat is a board certified Adult & Family Nurse Practitioner, Certified Diabetes Educator, and has completed a Fellowship in Anti-Aging & Functional Medicine. She can be reached at 985-892-3031 or www.pamelaegan.com. – What is Raynaud’s Disease and what are its Symptoms?